The FPC experiment is a success! 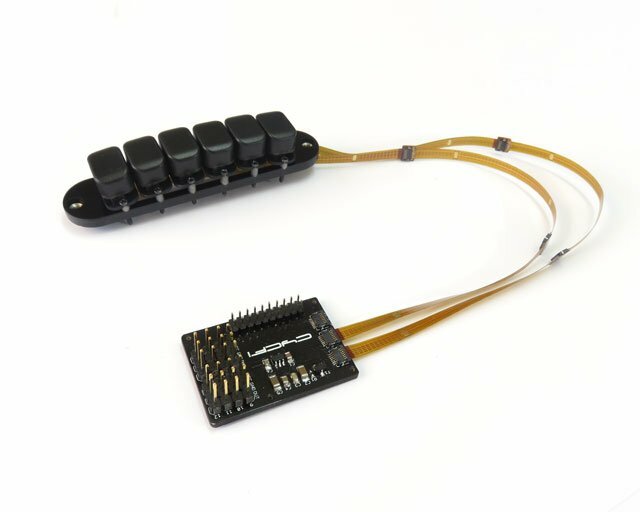 This is the first time we tried to use such connectors and they are amazing! 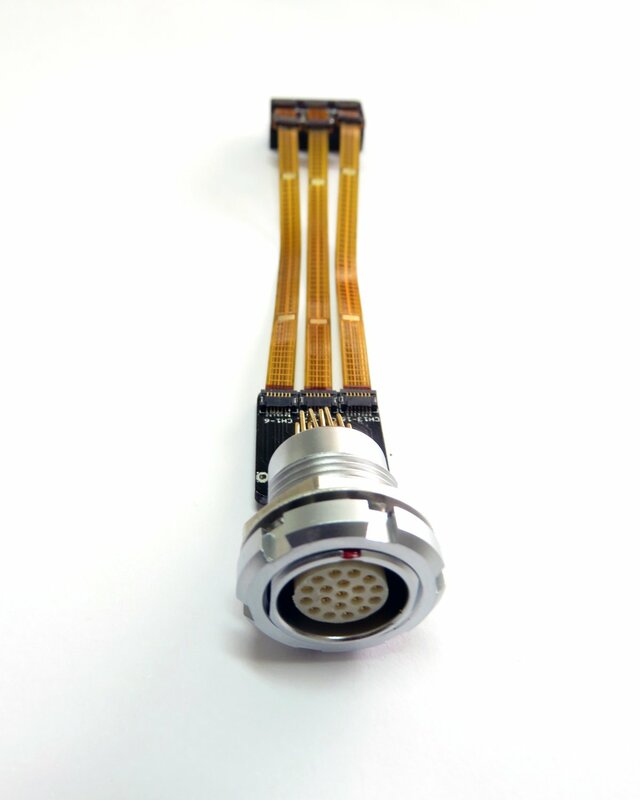 The zero insertion force connectors we chose are perfect for the task. The flip-lock is very effective as well. Insert the FPC cable, engage the lock, and the cable will stay in place. The basic Nu system consists of a set of Nu modules, the FPC connectors, and an internal breakout board with standard pitch connectors for power, the individual outputs (up to 12 channels, including outputs for up to four monophonic pickups), and can also accept control voltages (up to 8 channels) for by-wire control of volume, tone, patch or control of just about any effects. The main mounting base is laser-cut acrylic. Everyone and their cat has access to laser-cutting and 3D printing services. You have the freedom to customize your own mounting base for just about any shape and layout imaginable. 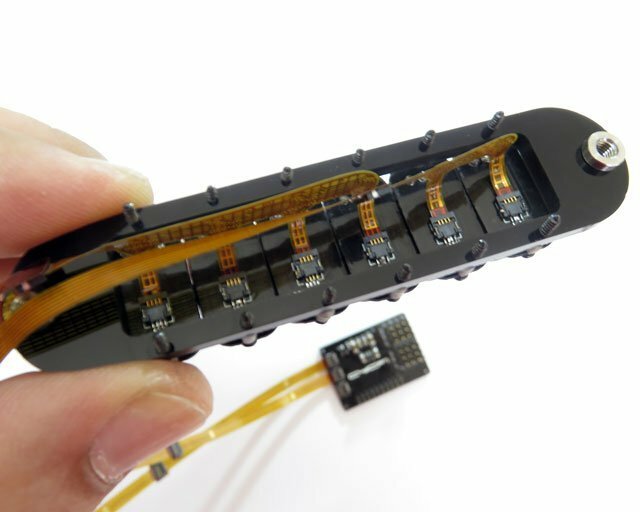 Small 1.4mm screws, plus tiny silicon tubes that act as miniature springs, are utilized for individual height adjustment. Notice how small those connectors are compared to my fat thumb! 🙂 These gold-plated 0.5mm pitch connectors from FCI are very small, measuring 3.2mm X 3.5mm, including the lock. We will provide a couple of FPC cables in various lengths (40mm, 80mm and 120mm) that you can connect together to form longer cables (right). If you need a 200mm cable, for example, just connect together a 120mm and an 80mm cable. Each group, for up to 4 Nu modules per group, connects to the main internal breakout for up to 3 groups (12 channels). Beyond the basic Nu system, that one (above) is the optional LEMO-style connector that connects the multichannel guitar to the our customized “Nexus” multichannel breakout box (another project). 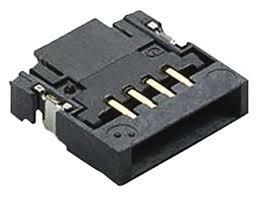 You can use your own connector, such as the 13-pin Roland DIN connector. We’ll have more on “Nexus” soon. Up to 12 channels audio. That should be enough to connect your multi-channel Nu pickup plus any standard monophonic pickup you may have. 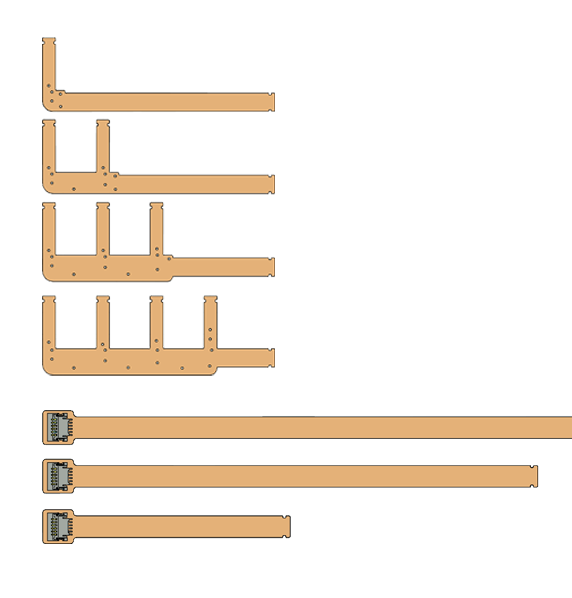 Three FPC connector groups connect to up to 12 Nu channels. Standard EMG-style header connectors connect to up to 4 standard monophonic pickups. 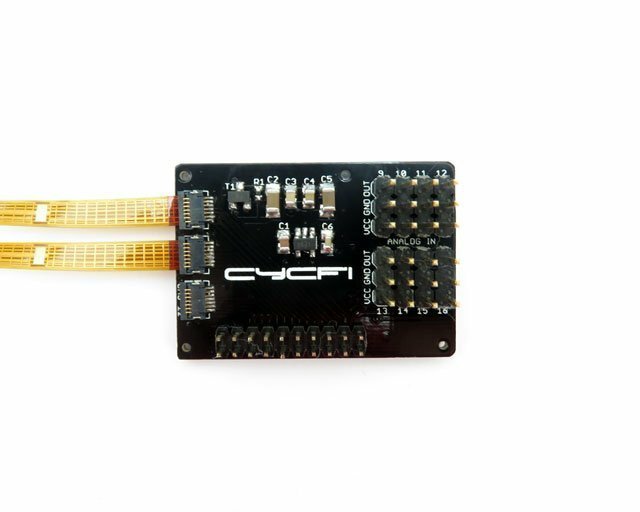 Up to 8 control voltage inputs for MIDI control. Ultra-low noise power for 9v and 5v.